In my quest to continue my journey of “Losing Weight Off the Interstate” I scoured the internet for more unique classes in Manhattan. I came across Bollywood Cardio Dance classes at Beauty and the Beat Dance Company. I couldn’t sign up fast enough, I love the bright colors and the music I associate with Bollywood and wanted to experience a piece of it firsthand. In all reality my experience with the Indian culture is limited to cuisine and an incredible weekend at a friend’s Sikh wedding. That event was filled with music and dancing but the little dancing I did with my friend’s uncle’s who dominated the room didn’t really prepare me for this class. I had fallen off the exercise bandwagon a bit and was both excited and nervous. To no surprise my coordination hadn’t improved from the last dance class I took, when the group was going left, I was typically going right, as they moved forward I was at least one step behind. Even with the potential embarrassment of my two left feet I had a blast, I caught my reflection a handful of times and I was smiling my way through the entire class. 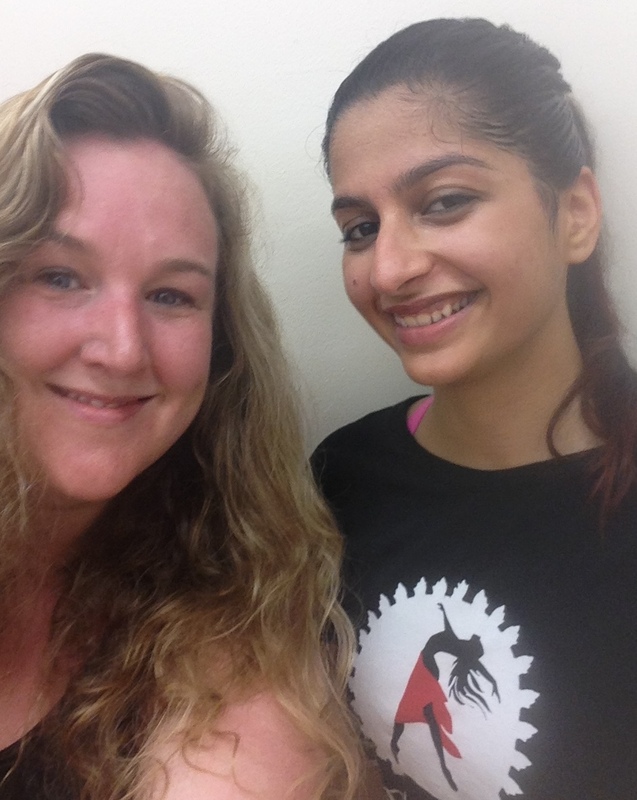 The Creative Director, Namrata Bajaj led an entertaining and tough workout class, if you don’t believe me just check out how pink my face is in our picture below. Namrata was originally trained in Africa and then in Indian Classical Dance in Las Vegas, which is where she came up with Cardio Bollywood. In addition to the various classes she teaches she also leads a dance troupe in various event performances across the city. If given the chance I would definitely go back to this class, though when she offered for me to stay for the class right after mine I quickly declined, I mean, everything in moderation right?